A map of the boundaries of the trial west anchorage area in the Turning Basin, near the western tip of Lido Isle, which the Harbor Commission recommended become seasonally permanent at their Wednesday meeting. Visiting boaters who have become accustomed to mooring in the Turning Basin in Newport Harbor the past few years may be happy to hear that the anchorage area may become a permanent summer mainstay. The Harbor Commission on Wednesday unanimously approved recommending to City Council that the popular seasonal trial anchorage area in the Turning Basin become permanent. 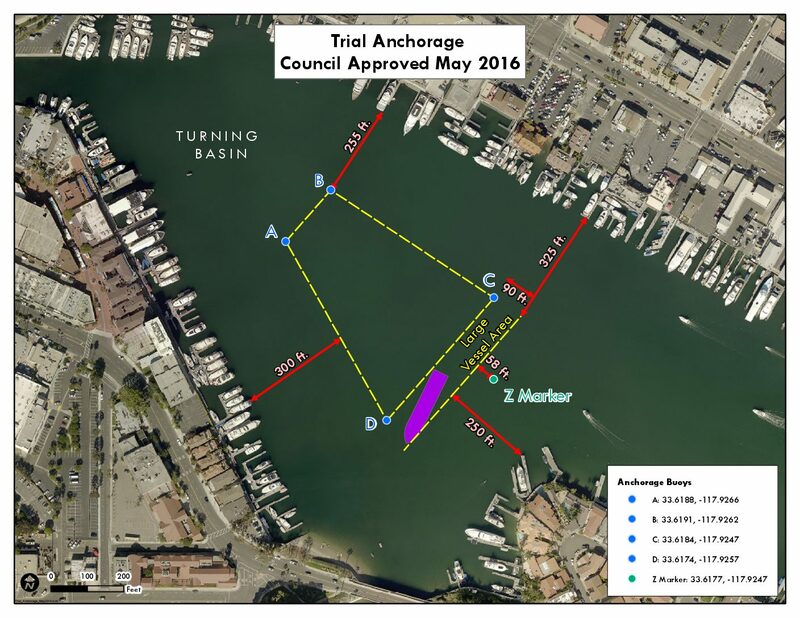 This is the third summer in a row the city has conducted a trial anchorage near the western tip of Lido Isle. During August and September, the east anchorage averages about five vessels per day. During the same time frame, the trial area, dubbed the west anchorage, averages about two per day. The ad hoc committee tasked with studying the seasonal test run suggested the same size and boundaries as the previously approved for the trial area. There was some discussion about making it year-round, as Commissioner Ira Beer suggested. Beer opined that it might benefit the businesses in the Lido Marina Village area during the rest of the year. Vice Chairman Dave Girling recalled that when the Commission first began looking into the anchorage area this issue was raised. It may not be appropriate to make it year-round based on previous discussions with locals, he pointed out. He applauded the interest in providing year-round access to Lido Village, but disagreed that the demand was there during the winter months. 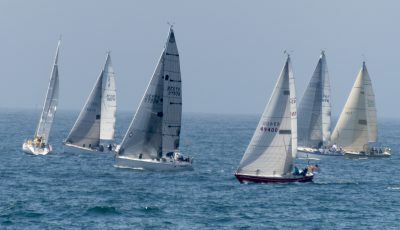 Chairman Bill Kenney added that there are races and training groups who use that entire stretch of the harbor during spring. The year-round idea was ultimately rejected and the Commission recommended it run from the week before Memorial Day until the week after Labor Day. Another condition attached to the recommendation to City Council was that no raft-ups be allowed in the anchorage area, which sparked some conversation about how a raft-up is defined. Commissioners were split on whether a raft-up consists of more than either two or three boats. It’s not defined in the city code, Harbor Resources Manager Chris Miller pointed out. Ultimately, the formal definition of a raft-up was tabled for a future meeting since it was outside the scope of the anchorage item up for the discussion. “It is an issue I would like to go forward with,” Kenney said. Specifically related to the west anchorage area, the condition was for not allowing raft-ups, meaning two or more vessels, in the west anchorage area. Noise was also a concern raised by commissioners. Although the ad hoc committee originally suggested a cut off time of 9 p.m., the Commission ultimately pushed it back to 10 p.m.
Commissioner Paul Blank pointed out several other harbors have a 10 p.m. quiet time. Another recommended condition allows the harbormaster to change the size and/or boundaries during special events. Other restrictions, like length of stay, will be the same as the east anchorage area. 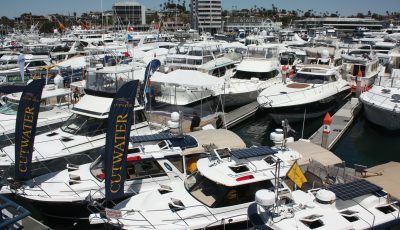 Also during the Wednesday meeting, Harbor Commissioners discussed large boat anchorage fees, but did not vote on the item because they wanted more information. 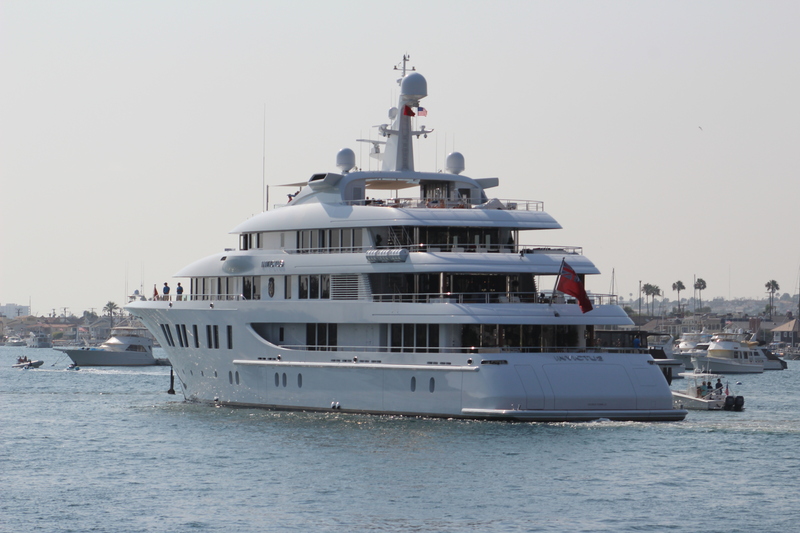 Harbor Commissioners are considering changing the fee structure for large boats, like the mega yacht “Invictus” (pictured), that anchor in Newport Harbor. Officials have previously questioned whether a more proportionate fee would be appropriate. 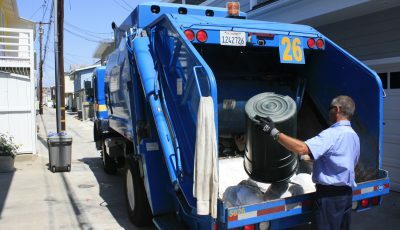 Commissioners recently agreed that the fee should be more than what the city is currently charging, but should stay reasonable. 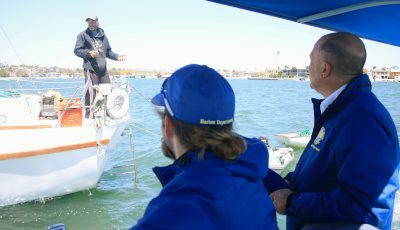 On Wednesday, commissioners directed staff to look into quantifying the amount of time and effort put into the installation and process of allowing a vessel of that size stay in Newport Harbor. They also need to consider the cost to other harbor users and the state for use of the tidelands, Blank pointed out. The big question is how all of that is quantified, Kenney queried. The formula needs some fine-tuning before they can make a recommendation, Girling said. The ad hoc committee and staff will work on it more before it returns to the Commission, likely in November. They hope to have a recommendation to the Finance Committee fairly soon so that it can be wrapped into the fee schedule process during the early part of next year and then go on as a recommendation to City Council.